There are so many benefits to searching out Nissan Pathfinder lease deals when you are shopping at dealerships near Marrero, LA. However, if you haven’t spent much time looking into these benefits, you may not know what you’re getting yourself into. Therefore, you should check out some of the top reasons that drivers in the local area love to lease instead of securing auto loans. Then, when you know more about the myriad benefits that await you with a lease, you can decide if it’s something you want to go through with. It may seem like securing an auto loan is the only option when you want to shop at a dealership near Marrero, LA, but that is far from the case. On the contrary, a lease is a great alternative to a loan. You may be able to get a nicer car than you would if you were to buy, and you may not even have to put as much money down for a down payment. Doesn’t that sound appealing? Don’t write off this possibility until you’ve done your research and determined if it’s something that might benefit you. One of the other benefits of shopping for Nissan Pathfinder lease deals is the fact that leasing gives you a lot of flexibility. You won’t have as many ownership responsibilities to think of, which can be a huge relief. Plus, you don’t have to worry about what you’re going to do with your car when you’re ready to move onto your next one. Instead of having to sell it or trade it in for something new, you can just take the car back to the dealership and pick up something else. Do you always want to have the newest thing? If so, Nissan Pathfinder lease deals may be perfect for you. You can get a new lease about once every three years, which means the car you drive will never be too old. Plus, every time you get a new ride, it will come with all the latest technology and safety features you could ever want. What are you waiting for? 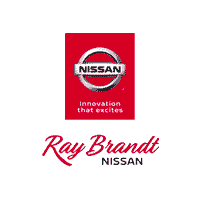 If you are looking for amazing Nissan Pathfinder lease deals, you need to come see us here at Ray Brandt Nissan.